He heard God’s call and did not hesitate to fulfill it. Through many harrowing trials and tests of his faith, Hudson Taylor followed God and relied on Him only. Even when all around him seemed to be crumbling – when fellow missionaries died, funds were short, and friends were arrested – he held fast to his Rock and his Comfort. And when God miraculously supplied a mate, food, medicine, and salvation to the lost, he gave all the praise and thanks to Him. Read the amazing tale of a man who depended on Christ for everything and followed God to the other side of the globe. From Hudson Taylor’s experiences, you will discover how you, too, can overcome hardships, witness miracles, and enjoy a life of contagious faith and joy! 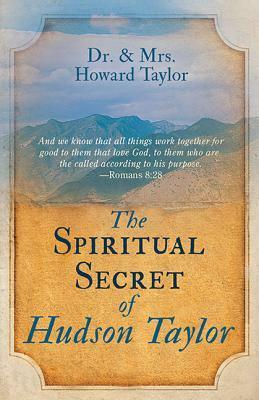 The Book Of The Month: The Spiritual Secrets of Hudson Taylor, by Dr. and Mrs. Howard Taylor is, $13.99 with a 10% discount.